Yesterday, Apple unveiled the 8th major update of its mobile operating system. iOS 8 features the same flat design that was introduced with iOS 7 along with a lot of new useful features that users were asking for a long time. The public release of latest iOS is targeted for fall this year, however beta is already available to registered developers. This post covers all the new features iOS 8 brings to iPad including the ones which were not revealed during yesterday’s WWDC keynote. Note: iOS 8 is in beta so listed features are subject to change when the software is made available in the fall. Finally iOS 8 brings the most awaited quick reply feature to both notification banner and on lockscreen. To quickly reply to a notification all you have to do is simply swipe down on the Notification banner at which point a text box will appear, write your message and tap the send button. You can also access quick reply from the lockscreen of your iOS device as well as you can mark notifications as read. The Messages app in iOS 8 becomes more efficient by borrowing all the amazing features from Snapchat, WhatsApp and Facebook Messenger. You can now name the group conversations, add/remove contacts from an ongoing conversation, leave a group chat, and even if the conversation goes disturbing you can mute it to not to get any notification. 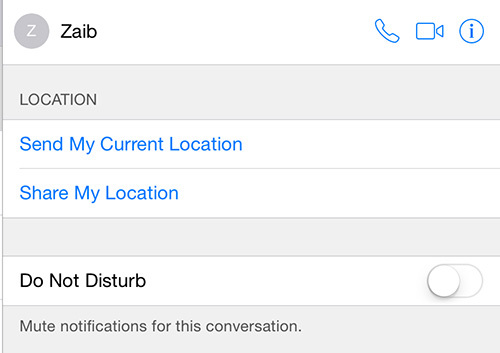 New Messages app also allows you to share your location with your contacts, with options to share location for an hour, whole day or permanently. You can also send short voice and video messages, which automatically expire after 2 minutes, however you have the option to store them permanently as well. Another good feature of the new Messages app allows you to send your photos/videos quickly, without opening the full Photos app to choose attachments. Just tap camera button in the Message text box, to bring up the pop-up window that previews of all your photos and videos from Photos app. You can horizontally scroll through all the available photos and videos. Select one or more and tap the send button. This is really a time saving feature. In iOS 8 the Notifications Center gets rid of the useless ’Missed’ tab and now has two tabs ’Today’ and ’Notifications’. 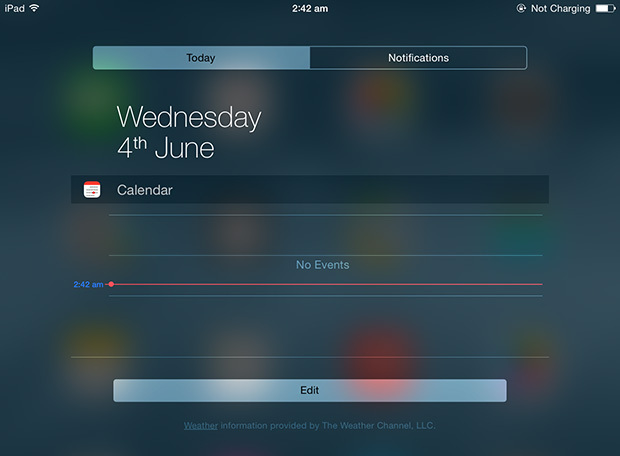 The ’Today’ tab displays date, weather and different widgets including calendar, reminders etc. The best addition to Notifications Center is 3rd party widgets. Yes, finally widgets have arrived to iOS. You can manage your widgets using an ’Edit’ button at the bottom of ’Today’ view. The place where all your camera shots and videos are stored brings an even richer experience to your memories. Editing your photos is more powerul now. You can adjust the light and color effect to make the dull photos bright and colorful. Cropping your photos has more options than ever, with predefined crop ratios, rotation and 90 degree of tilting. You can also ‘Heart’ your photos to access all your favorites under a single album. 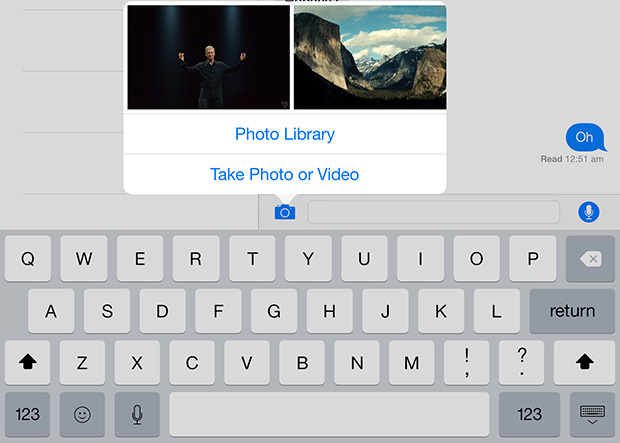 The improved camera app in iOS 8 brings two new modes to iPad. Time-lap and Pano mode. 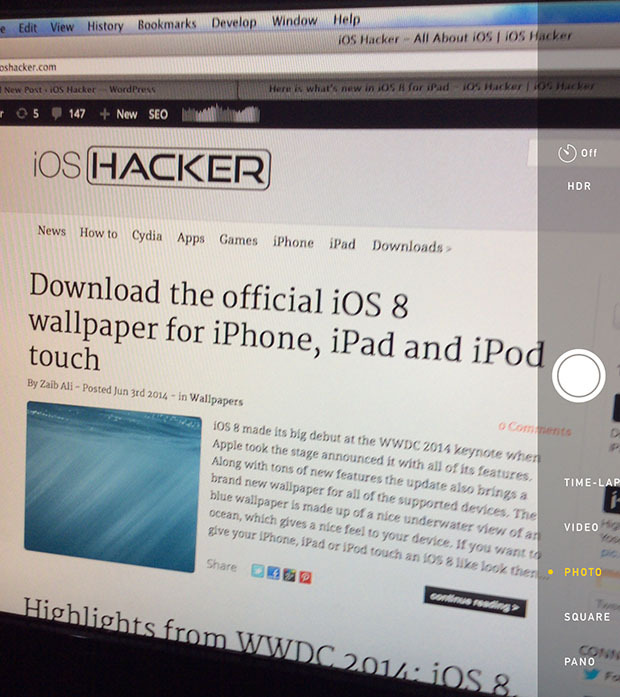 Pano mode was already available on iPhone and iPod and came to iPad for the first time. Whereas Time-lap is the new addition that snaps photos at dynamic intervals to create a time-lap video. Additionally you can now also change the camera modes by tapping. Safari has got even better on iPad with the new bird eye tab view and quick bookmarks access. 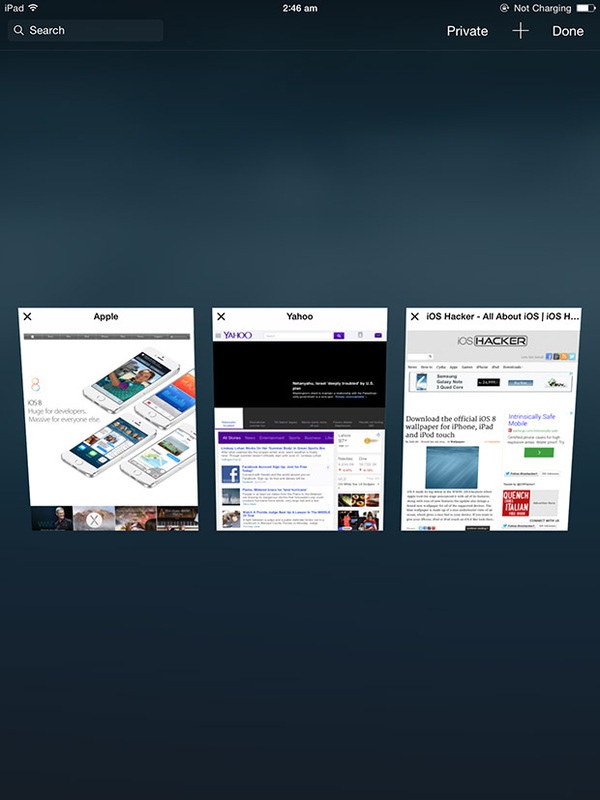 Let’s say you are on apple.com and want to access one of your bookmark iOS Hacker, simply tap the address bar and it will show the icons of all your bookmarks. This makes it lot easier to access your bookmarks without opening a new tab. 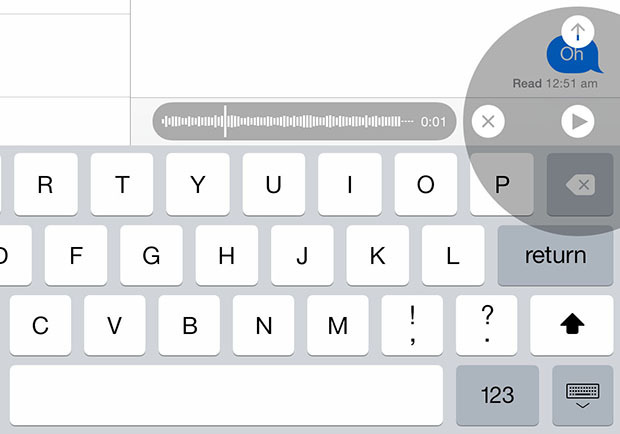 Spotlight search is stronger than ever in iOS 8. Now your search is not limited to your app list, contacts, messages etc. The improved Spotlight adds the ability to search iTunes music, videos and everything from Wikipedia articles to movie showtimes in a nearby theatre. A good addition to store all your documents on iCloud. It will allow you to access these files in all the compatible apps. For example you will be able to open all your PDF files on Adobe Reader on your iPad and on Preview app when you’re on your Mac. 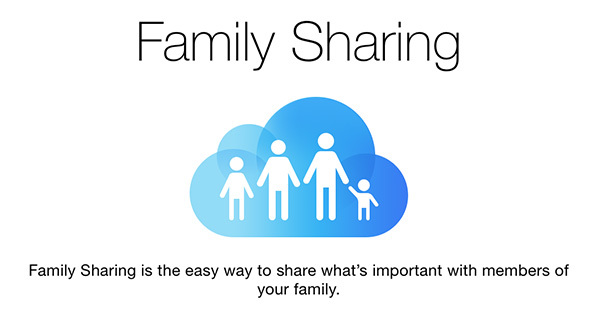 Family Sharing feature allows you to sahre your photos, calender, reminders with your friends and family members. You will be also be able to share your iTunes purchases. Family sharing is limited to 6 members with a bound to have the same credit card on all the 6 accounts. Siri can now tell you the name of a song that is being played using the Shazam song recognition technology. You can also make iTunes purchases via Siri commands. Another notable addition to Siri is hands-free access. You will be able to interact with Siri by just saying ‘Hey, Siri’ just like the recently released Cydia tweak named OkSiri. However this feature is limited to when your iPad is in charging mode. This new feature can be accessed by going to Settings>General>Usage>Battery Usage. It shows you the deatils of battery proportion being consumed by each app. 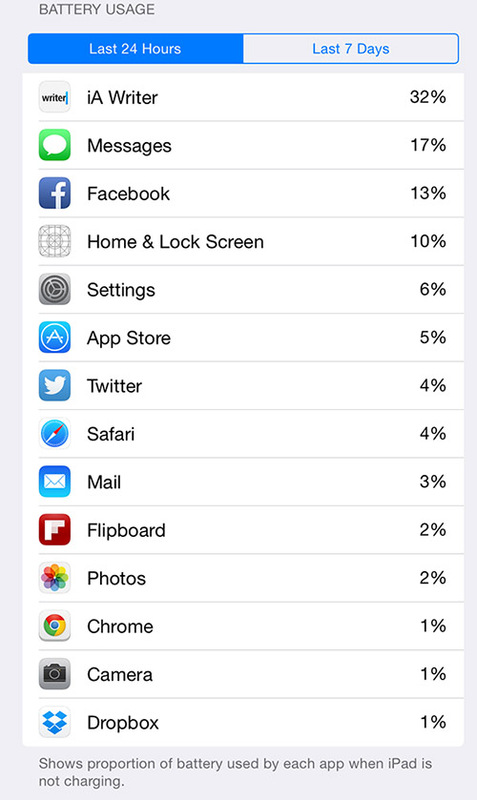 Letting you know which app is consuming most of your battery iPad’s battery. Easy draft editing in Mail app: Now you can hide the Compose mail window by swiping it down to bottom. 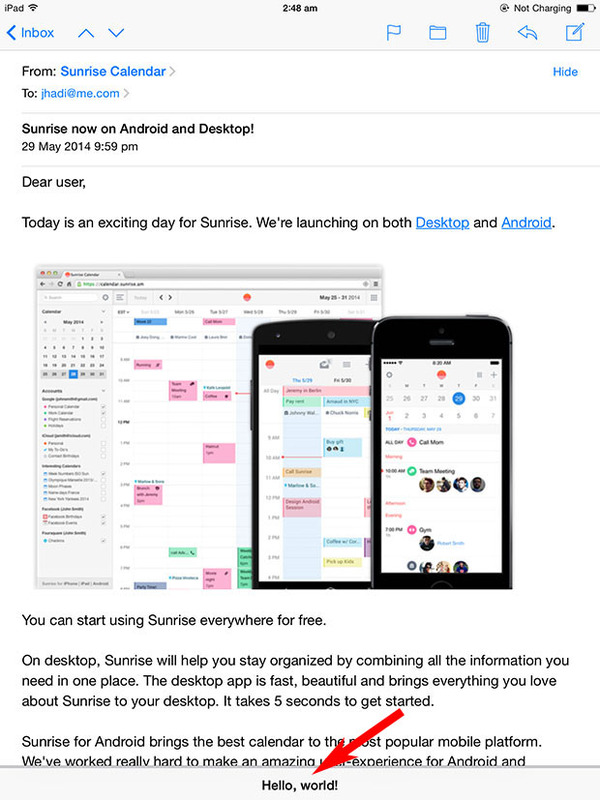 This lets you explore other mails, copy text, images and paste them to new draft by simple bringing up the by tapping the new mail window minimized at the bottom. 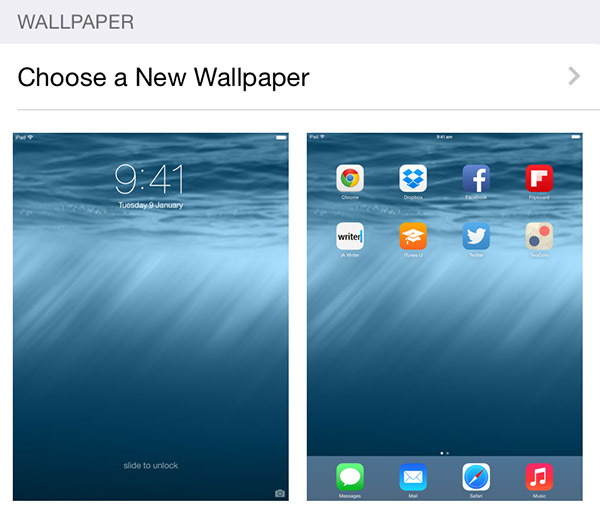 Choosing new wallpaper: With iOS 8 you need to separately choose wallpapers for both lockscreen and homescreen. 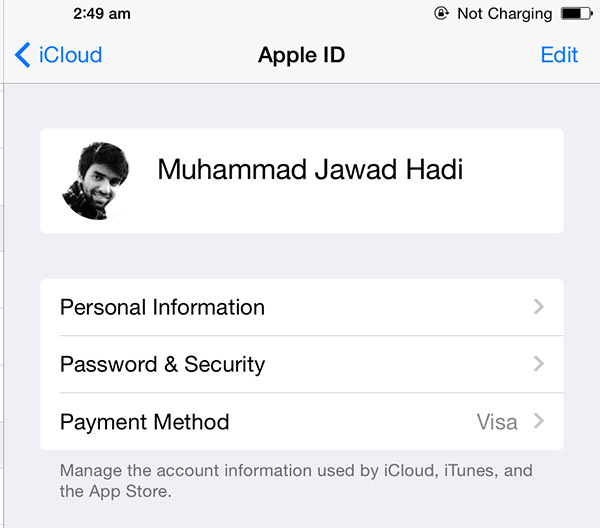 Profile editing in iCloud Settings: iCloud pane in Settings app now shows your complete account info with ability to modify your personal information. 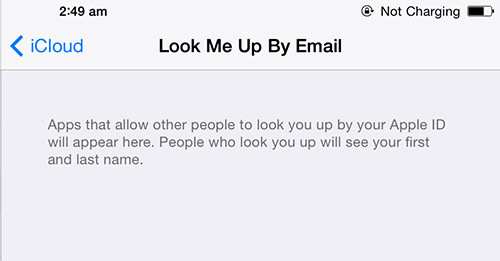 Look Me Up By Mail: A section in iCloud pane to let you know about the apps that allow other people to look you up using your Apple ID. 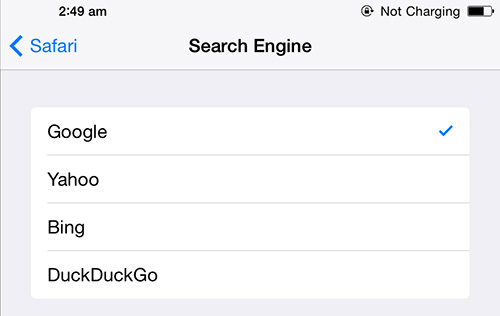 DuckDuckGo Search Engine: Now you can choose DuckDuckGo, the popular anonymous search website as your default search engine in Mobile Safari. iBooks app: iBooks app is now built-in into iOS 8.